You’re up at 2 a.m. studying for the big test, or you need to put the finishing touches on the projects for tomorrow's craft fair, and then you discover that you left the cap off your highlighter. Don’t despair. You can resurrect that dried marker with items you already have on hand. 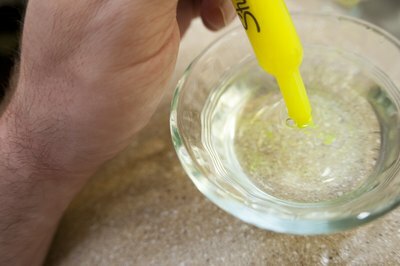 For a quick fix, dip the writing end of the highlighter in water for a few seconds. Remove it from the water and wait about 10 seconds for the liquid to wick up into the point. 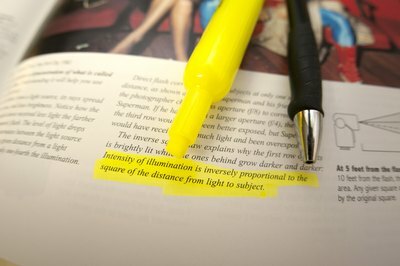 Your marker should be ready to go, but depending on the dryness of the highlighting surface, this may only be a temporary solution. Acetone-based nail polish remover provides a longer-lasting solution to your dilemma. Pour about 1/2 inch of the solution into a glass or bowl. 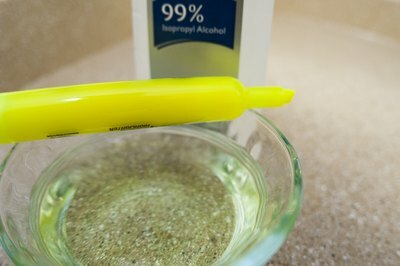 Put the tip of the highlighter in the acetone and allow it to absorb the liquid for 30 seconds. If you don’t have acetone, household rubbing alcohol works just as well.